The Dial Press, 9780385340991, 288pp. Mary Ann Shaffer, who passed away in February 2008, worked as an editor, librarian, and in bookshops. 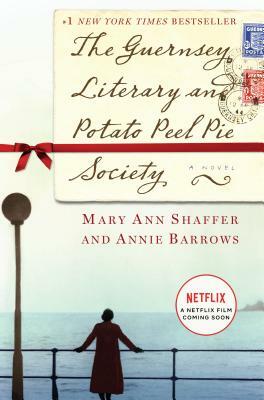 The Guernsey Literary and Potato Peel Pie Society was her first novel. Her niece, Annie Barrows, is the author of the children’s series Ivy and Bean, as well as The Magic Half. She lives in northern California. What was it like to read a novel composed entirely of letters? What do letters offer that no other form of writing (not even emails) can convey? What makes Sidney and Sophie ideal friends for Juliet? What common ground do they share? Who has been a similar advocate in your life? Dawsey first wrote to Juliet because books, on Charles Lamb or otherwise, were so difficult to obtain on Guernsey in the aftermath of the war. What differences did you note between bookselling in the novel and bookselling in your world? What makes book lovers unique, across all generations? What were your first impressions of Dawsey? How was he different from the other men Juliet had known? Discuss the poets, novelists, biographers, and other writers who capture the hearts of the members of the Guernsey Literary and Potato Peel Pie Society. What does a reader's taste in books say about his or her personality? Whose lives were changed the most by membership in the society? Juliet occasionally receives mean-spirited correspondence from strangers, accusing both Elizabeth and Juliet of being immoral. What accounts for their judgmental ways? In what ways were Juliet and Elizabeth kindred spirits? What did Elizabeth's spontaneous invention of the society, as well as her brave final act, say about her approach to life? Numerous Guernsey residents give Juliet access to their private memories of the occupation. Which voices were most memorable for you? What was the effect of reading a variety of responses to a shared tragedy? Kit and Juliet complete each other in many ways. What did they need from each other? What qualities make Juliet an unconventional, excellent mother? How did Remy's presence enhance the lives of those on Guernsey? Through her survival, what recollections, hopes, and lessons also survived? Juliet rejects marriage proposals from a man who is a stereotypical "great catch." How would you have handled Juliet's romantic entanglement? What truly makes someone a "great catch"? What was the effect of reading a novel about an author's experiences with writing, editing, and getting published? Did this enhance the book's realism, though Juliet's experience is a bit different from that of debut novelist Mary Ann Shaffer and her niece, children's book author Annie Barrows? What historical facts about life in England during World War II were you especially surprised to discover? What traits, such as remarkable stamina, are captured in a detail such as potato peel pie? In what ways does fiction provide a means for more fully understanding a non-fiction truth? Which of the members of the Society is your favorite? Whose literary opinions are most like your own? Do you agree with Isola that "reading good books ruins you for enjoying bad ones"?